Bushwick, Brooklyn is a thriving neighborhood run by artists, galleries, music venues, a street art collective, and much more. 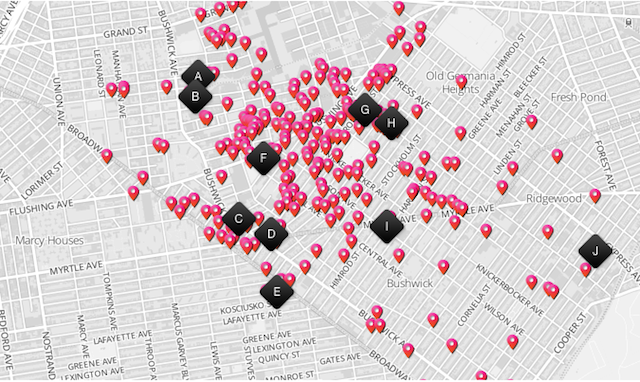 This weekend, artists open their doors to the public for the 8th annual Bushwick Open Studios. Run by the volunteer organization Arts in Bushwick (AiB), the weekend includes hundreds of open artists studios, free events, performances, and panels. Visit their website and download their iPhone app.